Intel released earnings last week, and it was ugly. Yes, the company beat expectations on the bottom line, but it missed big on the top line and the outlook was dismal. Looking under the covers, the company is a mess. The expected CEO announcement -- it has been operating with an interim CEO -- didn't occur. AMD's earnings are expected to be very strong. AMD just made some organizational changes that suggest an increase in its competitive attack in view of Intel's weaknesses. I'll walk you through what is wrong with Intel -- why it missed, and why its outlook is so grim -- and then close with my product of the week: one of the first flying taxis that is actually flying. It continues to amaze me how quickly autonomous flying vehicles are advancing. At the heart of Intel's problems are two things: 1) Its last CEO lacked board oversight and crippled the company; and 2) Lack of focus -- it is torn between initiatives and has overcut expenses and employees, resulting in a clear inability to execute. Interim CEOs, particularly those who are also CFOs, tend to be unable to set strategy or direction. Basically, their mission is to keep the lights on, and their CFO background, without a CEO offset, generally leads them to focus more on improving the bottom line than driving the top line. In the short term, this is fine, but in the long term, it can destroy the firm's ability to execute. Typically, an interim CEO's term is measured in weeks, because the board is missioned to have a succession plan. However, Intel's prior CEO forced out any challengers, basically clearing the bench inside the company. Intel is famous for mistreating folks they eliminate, making it particularly hard to get them back (and clearly none have returned with some of the most powerful indicating they wouldn't touch the firm with someone else's 10-foot pole). The Intel board simply did not do its job. It failed to protect the firm from the egregious decisions of its CEO, who effectively stripped the company to the bone to spike stock value before his departure, which it appears he anticipated. It is a board's job to protect the interests of the stockholders, and Intel's board was negligent, in my opinion. That likely was due in part to the fact that the board is extremely unqualified to lead Intel. There is only one appropriate engineer on the board, and she is an academic. Without a critical mass of microprocessor engineers on the board the board, and with an interim CEO, Intel's leadership lacks the skills needed to move the company forward or even to deal effectively with the problems its last CEO left. During the time since Intel's last CEO was fired for cause and the current financial reporting period, competition from both AMD and Qualcomm has increased sharply. AMD has made strong inroads in desktop, laptops and server markets, due both to strong execution and to Intel's lack of focus on core markets. In addition, the joint Microsoft/Qualcomm effort for the always-connected PC has gained momentum. Unlike prior ARM efforts, the solution is surprisingly strong. As for autonomous cars, Intel's strategy to lead with sensors (Mobileye) is wrong-headed, and that division dropped into decline during a time when the market has continued to advance. Nvidia's AI approach has become the leading standard. I get that Mobileye was cheap, but it's like buying a used, damaged Rolls Royce for F1 racing because you can't afford an F1 race car and the Rolls Royce is cheap. It won't end well. Now Intel is pushing hard on modems with Apple, and using litigation and Apple's significant industry and brand power to do Qualcomm damage. However, its alleged theft of Qualcomm's technology puts a massive cloud over that effort, and its obvious shift of manufacturing resources, from low-end desktop processors to modems, significantly helped AMD penetrate the desktop market -- not to mention creating huge trust issues with the other OEMs. By any measure, that move appeared as a betrayal to vendors that view Apple as a competitor, and Apple's lead competing platform, the iPad, uses ARM -- not Intel -- processors. Building on Apple by partnering with it to the disadvantage of other OEMs seems particularly foolish, given Apple's reputation with vendors and Andy Grove's near-legendary hate for that company (due to an earlier betrayal). This isn't bad only in the near term -- it likely will be catastrophic in the long term, because Apple clearly has been staffing up so that it no longer must use Intel for modems, and it clearly has set expectations to evolve to ARM from x86 for its PC line. Finally, Intel's horrid company acquisition process -- which leads with buying companies in distress, but shows no ability to either protect or turn around those troubled assets -- suggests it is going to continue to struggle until someone who has a clue steps in. Right now, the smart money is on a guy named Johny Srouji out of Apple. He has a very strong pedigree, but I wonder if the board is smart enough to offer him the job or whether he is too smart to take it. As I've consistently said, Intel's problem starts with the board, which obviously has been negligent regarding preserving and protecting Intel's future, in my opinion. Lack of a succession strategy, an inability to find a replacement CEO, incompetence in acquisitions, horrid competitive performance, and an excess focus on cost reduction and downsizing has left a firm that is a shadow of its once great self. Without fixing the board it is unlikely the next CEO will be successful, regardless of pedigree, and that means the outlook for the company is anything but positive in the long term. There are several things it could do to spike the stock again in the near term, but they likely would leave the company far weaker. Even Intel's recent laudable move to create salary parity between men and women likely will reduce productivity, because Intel is focused on costs, which means it will have to lower the income for male employees to offset the income increases for female employees. This will adversely impact retention and productivity for the male employees, who remain massively dominant, without any real productivity benefit from the women. According to both Maslow and Hertzberg, money is a poor motivator when given, but an excellent demotivator when taken away (which, by the way, explains the low productivity of the poor federal employees who were forced to work for free -- just criminal, in my opinion). 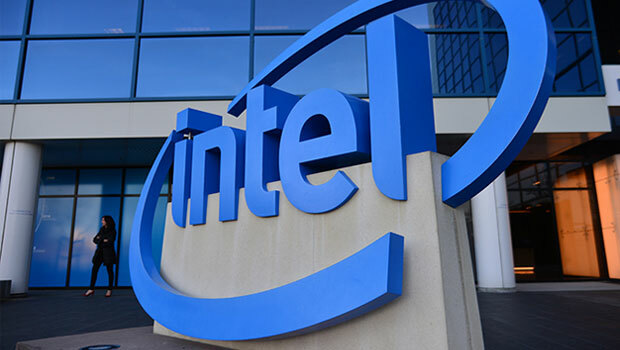 The fact that Intel's bottom line improved while its top line suffered suggests it has continued to focus excessively on costs, even after massive layoffs, which is the foundation of this opinion. I think Andy Grove would be very disappointed in what Intel has become. I am fascinated by the fact that while starting well behind the effort to create autonomous cars, the development of autonomous flying vehicles has been moving like lightning. The industry has been working on flying cars since the 1940s, with the result generally being vehicles that neither drive nor fly very well. One flying effort that cost something like US$250K back in the 1970s, which was a bad blend of Cessna Skymaster and Ford Pinto, literally killed all the executives in the company. One of the best examples is the Boeing flying taxi, which completed its first successful flight last week. This is a VTOL (vertical take off and landing) vehicle with an operational range of 50 miles. That is well within a taxi travel envelope, particularly when you consider that it can fly in a straight line and avoid traffic or turns. It is a brilliant piece of engineering. 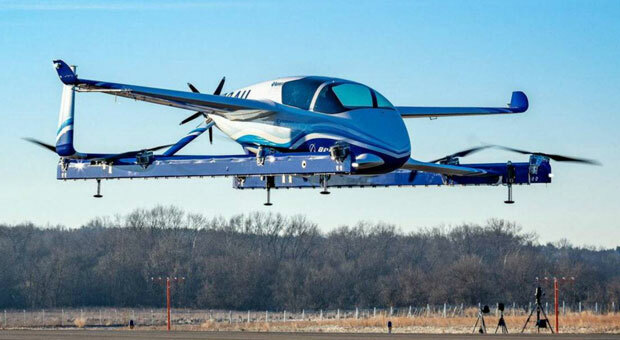 While it isn't clear if this is the vehicle that Boeing is jointly developing with Uber, it is an amazing plane and, in this form, it is also electric. Fully autonomous, this could become the way many of us get to where we are going, particularly if we are going to the airport or to a building that has one of those unused heliports on the top. It is a working flying taxi, and I can't think of a better reason to make the Boing Flying Taxi my product of the week.